Thirty years ago, to be gay and out anywhere took guts. To be gay and out in Savannah? That took a special kind of fortitude in the face of all that Southern propriety. The brave pioneers of the First City Network sought support in numbers back then, meeting in living rooms gathering their courage to form what is now the oldest LGBT organization in Georgia. Left to right: Dusty Church of Savannah Pride, Evonia Pollard of Transgender Empowerment Education, therapist and advocate Karen Abato and First City Network chair Michael Ploski. 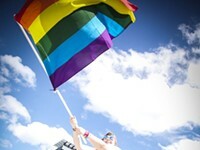 As membership grew, so did the number of organizations addressing specific issues in the gay community: Pride, Stand Out Youth, PFLAG, healthcare resources and gay-friendly businesses all filtered through FCN’s patchwork of connections, first as phone trees, later as email lists and databases. Three decades later, as the cultural climate has progressed (and slid back), FCN remains a visible presence in Savannah with strong social, economic and political influences. But even with dedicated volunteers and an enthusiastic board of directors, it has proved challenging to serve the diverse needs of a 10,000+ person community without a center of operations. Now, after more than 20 years of planning and effort, Savannah’s lesbian, gay, bisexual, trans and queer citizens finally have one. The inside of the new Savannah LGBT Community Center on Bull Street still needs a few final touches, but the freshly-painted rooms are move-in ready as organizers prepare for a grand opening in mid-July. A fund dedicated to the venture already collected close to $75K, and Ploski says the rest of the $100K goal is on its way, “fingers crossed.” Local philanthropists have stepped up with matching grants and artists have hosted benefit shows, including the fabulous entertainers of House of Gunt, Savannah Sweet Tease Burlesque and the Club One Cabaret, who are collaborating for another scintillating evening this Thursday, June 15 at Club One. Located on a bustling stretch south of Forsyth Park lined with cafés and churches, the LGBT Center’s easy access from all areas of the city and ample parking make it an ideal hub for all ages and abilities. “Having the police department across the street is also a plus,” remarks organizer Karen Abato, acknowledging that SCMPD’s presence brings an added layer of security to the designated safe space. The design and buildout maximize the square footage to accommodate a cornucopia of organizations and activities: The spacious lobby will serve as a greeting/meeting room as well as a curated gallery with eight shows a year. It leads to two offices, one for the FCN “mothership” and another shared by the organizers of Pride, Stand Out Youth, the Georgia AIDS Coalition and Transgender Empowerment Education (TEE). Beyond the hallway lies a large multi-purpose room with ADA-compliant, gender-neutral restrooms that’s suitable for lounging, dancing and displaying more art. 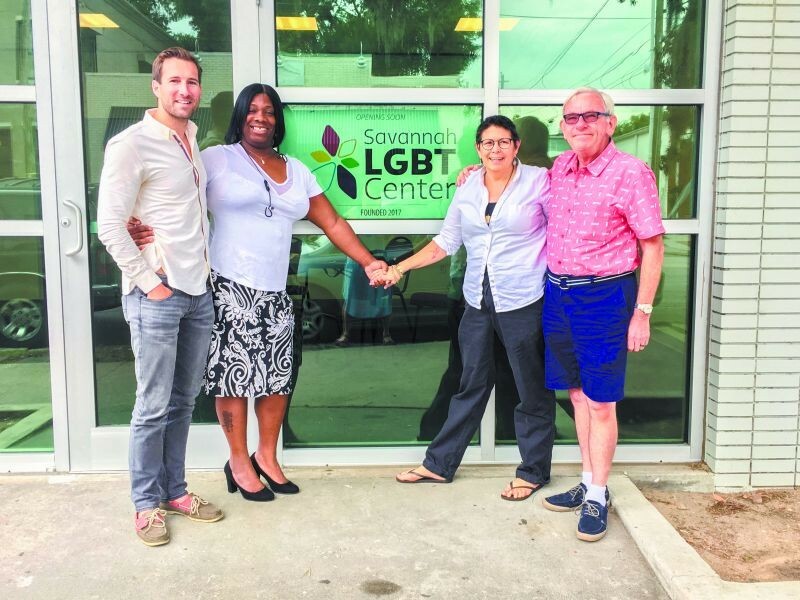 But the Savannah LGBT Community Center is more than just a clubhouse. 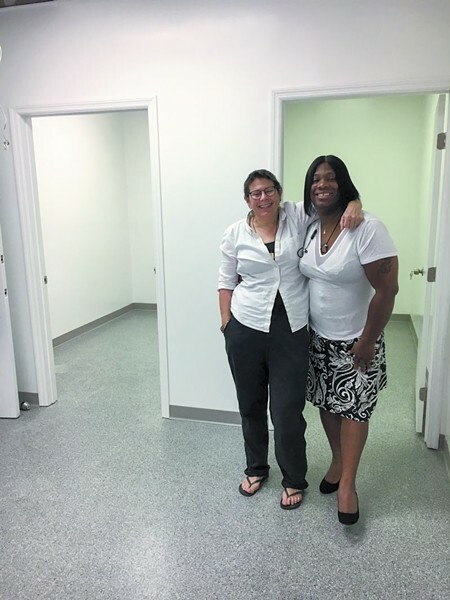 Another door leads to a clean, efficient clinic with two exam rooms where volunteer professionals will provide essential services such as AIDS testing and basic healthcare in a non-judgmental environment. Karen Abato and Evonia Pollard. Abato, a licensed psychotherapist, will help head up the mental health and peer support programs that aim to address the high suicide rate of LGBT youth, which is four times as high as it is for straight teens. “The first order of business is to connect someone with other people who have had the same experiences,” she says. 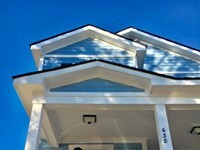 Substance abuse and alcohol counseling are also part of the suite of services, along with a schedule of sober social events hosted at the center. “We want to normalize sobriety in the gay community,” affirms Abato. While its multi-faceted scope is a lot for one building to handle, the center is still fairly tiny compared to the LGBT Center in Los Angeles, which includes legal services, a youth shelter and a full-time staff. Church also contributes to the Center’s social media channels, and reiterates that the non-profit enterprise was conceived of and is run entirely by volunteers. FCN’s Ploski estimates the Center has about two years of operating costs in the bank, and paid staff will come as more programming is added, allowing more access to grants. For the time being, it is a labor of love. Legal advice on employment, discrimination, marriage and partner benefits may also be on the way, though as a 501c3, the Center does not endorse candidates nor will it step into the political fray. However, should anti-LGBT legislation or other “religious freedom” bills appear, organizers don’t discount offering up the space to strategize. But the everyday mission of the Savannah LGBT Community Center is simply to serve, giving today’s gay and trans citizens what wasn’t possible 30 years ago. “Y’know, most of us are just trying to find a house and a job and live the way we want to live,” says TEE’s Pollard.